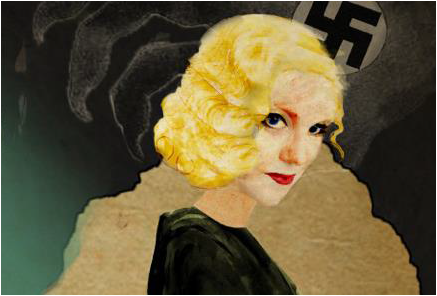 From Jessica Beck, the director who brought Whiskey Tango Foxtrot to the Fringe in 2015, comes a journey of 1930s glamour and fear in Agent of Influence: The Secret Life of Pamela More. Lady Pamela, fashion columnist and socialite, is recruited by MI5 to keep notes on Wallis Simpson and Edward VIII, suspected to be colluding with the German Embassy. But, Pamela suddenly realises that what began as an adventure has led to a deadly struggle for power in a world in the shadow of war. After the critically acclaimed World Enough and Time by Sarah Sigal (Park Theatre 2014), Rebecca Dunn reprises her role as the beguiling Pamela More in this new piece, Agent of Influence: The Secret Life of Pamela More. Writer Sarah Sigal comments, "Some characters take on a life of their own. Pamela was always very demanding. Now she has her own show. And a Twitter account. Who knows what's next?"